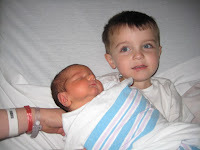 Here is a picture of Big brother Hal and baby Coleman. They look nothing alike! But still, both are very cute!! !